For those keeping track, the production 2017 Chevy Bolt that was just revealed at CES in Las Vegas is, well, pretty much just what we were expecting. 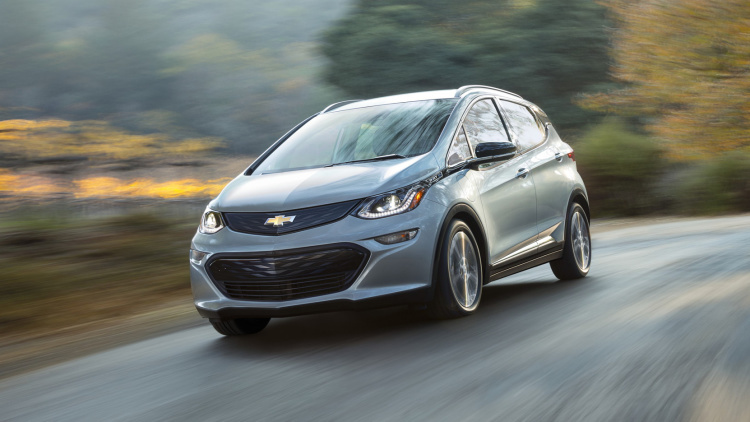 As promised, GM claims the EV crossover-ish hatch will have a 200-mile range, and be “affordable.” While pricing hasn’t been announced, we’ve posited in the past that “affordable” is code for around $30,000 after incentives. The Bolt will use a couple of features, both novel and expected, to enhance range. The EV is expected to use information on the owner’s driving history, the weather outside, the terrain, and even the time of day to help manage and predict range. The nav system will optimize routes to conserve range, if needed, and show nearby charging stations. That should ease, if not eliminate, range anxiety. Another range-conserving feature is a low-draw Bluetooth system. Speaking of charging stations, there’s no word so far about how long it’ll take to recharge a Bolt, or the capacity of the battery pack. Inside, the large center-mounted MyLink screen measures a full 10.2 inches, and provides a display for the wide-angle rear camera with a birds-eye view capability. OnStar provides 4G LTE and a wifi hotspot to occupants, and the sorts of efficiency and driving habit apps you’d expect will be available. It seems like remote start and cabin preconditioning will be standard. Interestingly, the Bolt will feature “Gamification” features intended to promote efficient driving by pitting Bolt drivers against each other for green driving awards or rankings. Details on are sparse on this feature, but then again, information on the Bolt in general is a little sparse right now. If you want to know things like detailed specs, the specifics of chassis componentry, or even trims and options, you’ll have to wait. Check out our first quick spin of a prototype Bolt in Las Vegas for a preview of what GM’s EV is like on the road. The Citroën C4 Cactus: Why This Is A Car You Need To Buy!